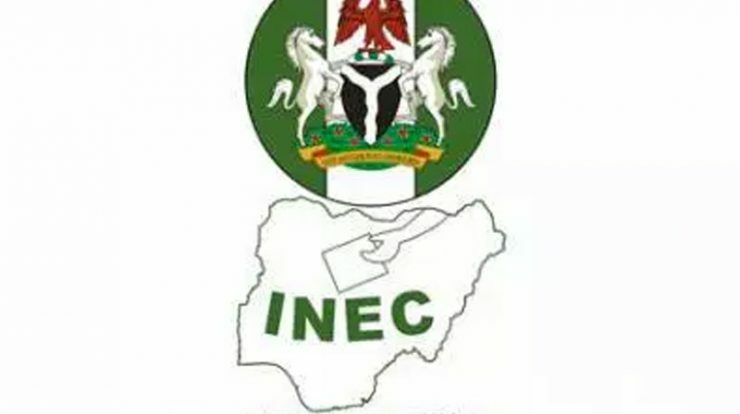 The Independent National Electoral Commission, INEC, has released an official statement regarding its decision to postpone the 2019 general elections till February 23rd. 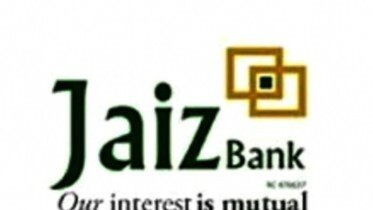 “The Independent National Electoral Commission (INEC) met on Friday, 15th of February 2019 and reviewed its preparations for the 2019 General Elections scheduled for Saturday, 16” February 2019 and Saturday, 2nd March 2019. 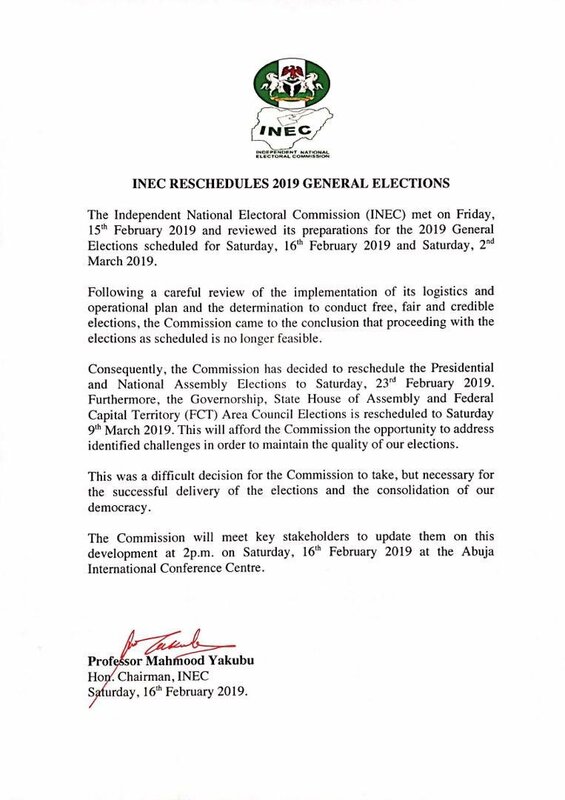 Consequently, the Commission has decided to reschedule the Presidential and National Assembly Elections to Saturday, 23% February 2019. Furthermore, the Governorship, State House of Assembly and Federal Capital Territory (FCT) Area Council Elections is rescheduled to Saturday 9″ March 2019. This will afford the Commission the opportunity to address identified challenges in order to maintain the quality of our elections.